How could South Asia help in the reconstruction of a post-war Iraq? As the prospect of war in Iraq grows ever nearer, how can the country be rebuilt following conflict? Could there be a place for South Asian innovation? Should Asian women have the freedom to wear what they like? As the world marks International Women's Day on March 8, we ask whether South Asian women have the freedom to wear what they like in the 21st century. 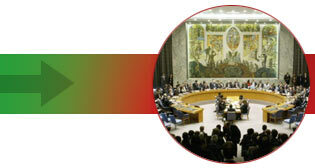 Is the UN Security Council truly representative? Last year India called for faster expansion of the UN Security Council to include more developing countries. Do you agree? Will cricket's spiritual home always be the 'green and pleasant land' or was England bowled out a long time ago? Is Valentine's Day harmless fun? Valentine's Day has become a multi-million dollar industry. But is it harmless fun or vulgar Western-style commercialism? Is business facing up to its responsibilities? A new book on the Bhopal chemical disaster states that people's lives are still being ruined nearly twenty years after the event. Is business facing up to its responsibilities? Can nuclear weapons be a key to stability? Analysts have suggested that Pakistan and India's possession of nuclear potential acts as a deterrent to any would-be attacker, and therefore promotes stability. Would you agree? US immigration: Is South Asia getting a raw deal? Pakistan and Bangladesh are being affected by strict US immigration regulations brought in to tighten security. Is South Asia getting a raw deal? Was British imperialism a force for good? A historian has argued that the British Empire's shortcomings were outweighed by its benefits. Was British imperialism a great historic achievement? Tell us what you think. Should India send a man to the Moon? The Indian Prime Minister Atal Behari Vajpayee has said that the country's scientists should work towards sending a man to the Moon. Tell us what you think. 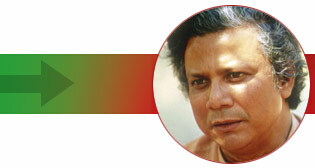 Bangladesh: Has the security clampdown gone too far? Following recent bomb attacks on cinemas in the northern town of Mymensingh, the Bangladesh government now appears to be taking a hard line against both the opposition and critical voices in the media. Has the security clampdown gone too far? Separatists: Is violence the only solution? As a third round of peace talks takes place in Oslo, Norway, there is hope that the 19 year conflict in Sri Lanka will finally be settled. Is taking up arms the only way a separatist group can hope to achieve attention for its aims? It is 10 years since Hindu hardliners tore down the Babri Masjid in the northern Indian town of Ayodhya, an event which triggered some of the worst communal violence in India's history. Can secularism survive? HIV prevention: Should there be compulsory screening? As the UN marks World Aids Day on 1st December, concern continues to grow about the spread of the virus in east and south Asia, particularly in India and China. What action should be taken? Has South Asian cinema lost touch with its roots? Can Bollywood directors continue to attract international interest yet also win back domestic audiences? Is there fresh hope for Kashmir? A new government has been announced in Indian-administered Kashmir which promises to bring fresh hope to the region. But doesn't the solution to Kashmir's problems lie in Delhi and Islamabad, as much as in the territory itself? Is clean technology a viable option? The UN Framework Convention on Climate Change is due to meet in Delhi next week. Is it realistic to assume clean technology can help reconcile the demands of the environment with the needs of humanity? Child poverty: Any hope of change? As the UK-based charity Save the Children launches its Beat Poverty day this Thursday, we ask what can be done to ireduce the levels of child poverty in the world. The results of Pakistan's general elections have been announced but religious parties may hold the balance of power. What is your view on the country's return to democracy?